Kristy K. James' first goal in life was to work in law enforcement, until the night she called the police to check out a scary noise in her yard. Realizing that she might someday have to investigate scary noises in yards just as dark as hers if she continued on that path, she turned to her other favorite love…writing. Since then her days have been filled with being a mom and reluctant zookeeper, creating stories, and looking for trouble in her kitchen. 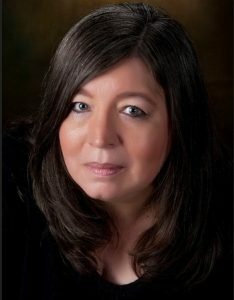 She is the author of more than thirty books, including the Coach's Boys, series A Royal Sweethearts Romance novel series, Haunted Depot, The Ghost Curse series, and more. Just about anything can inspire me to write. The couple sitting in a car in the parking lot at the store. She was crying, he was staring straight ahead. Why? That day, half a dozen scenarios came immediately to mind – and I really, really wanted to knock on a window and ask what had happened. Of course, I did not. But it didn't stop me from wondering. Other times, it could be a snippet of conversation overheard at a restaurant. An interesting documentary. Something I read in the newspaper. Or, in the case of my current work-in-progress, a dream. Anything can get thoughts rolling around in my head – and then the need to put them on paper, to turn them into a story is so great I really don't have any choice but to write it. I fall somewhere between a plotter and pantser, leaning a little more toward the plotting side of the scale. But I look at my outlines as you might an itinerary for a road trip. You know where you're starting, the general destination, and the major stops along the way. You don't plan out every single detail because that would mean you couldn't take detours to unexpected attractions. So you leave some wiggle room. That's how most of my stories come to be. Once, I wrote a story with nothing more than a couple of names and a general scenario when I decided – at the last minute – to participate in National Novel Writing Month. And a couple of books were meticulously plotted. And I stuck to the plots like glue. Most of the time though, it's an exciting road trip – with lots of surprises along the way. This question made me laugh. I ALWAYS talk to my characters. I interview them. I nag them. I get frustrated with them. And what do I get in return? The often hijack a story so they can tell it their way. Be patient. It gets tiresome hearing it, I know, but the writing life is a marathon, not a sprint. Make sure you have people you can trust to tell you the truth about your stories – but not too many. And preferably NOT other writers. I hate editing for other writers because I always think about what I'd do. And my voice isn't theirs. That isn't fair to them. You don't want readers who will only tell you what you want to hear either. That won't help you grow as a writer. So find a balance in everything. And again, be patient. I always looked at self-publishing as a vanity kind of thing. Until a close family member encouraged me to try it. Of course, I ignored the advice. Then the person died, too early and much too young and, too late and in an effort to honor them in some small way, I turned to indie publishing. It helped me deal with the grief by forcing me to focus on a world completely foreign to what I knew and before I really realized what happened, I fell in love with it. Would I advise all authors to dive into indie publishing? Honestly? Yes. You have to do your own marketing and find your audience even if you're traditionally published. So why sign away your rights for years to come in hopes a publishing company might get your books in bookstores? Because it's not guaranteed. And then, if it doesn't sell in a few short months, they're done with it – and you can't do anything about it. As an indie, you can sell your books in various bookstores – and around the world – for decades. I think there will always be readers and there will always be authors. That being the case, there will always be books. How we access them in the future, well – that's anyone's guess. What genres do you write? : Romance, urban fantasy, a little paranormal.